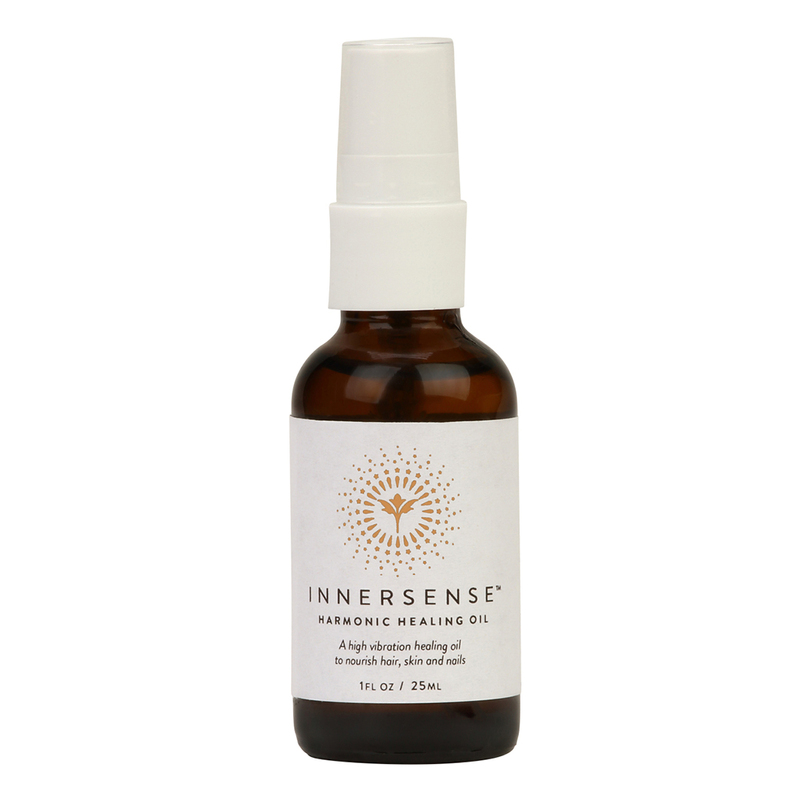 Harmonic Healing Oil by Innersense Organic Beauty is an all-purpose ultra-light hair, scalp, face and body oil. A rich and unique blend of essential oils deliver a feeling of nourishment, instant moisture, and restorative balance. Harmonic Healing Oil can also be used to soothe the appearance of dry patches, especially cuticles on hands and feet. Apply day and/or night to face, neck, chest. Apply a few drops to nails and cuticles. Massage onto patches of rough, dry skin or eczema. Warm a few drops between the fingers and run fingers through hair to give a smoothed appearance. Apply a few drops to the ends of hair overnight to quell the look of dryness or brittleness, and shampoo in the morning. This product works SO well on my face! It's non-greasy, calms my sensitive skin, reduces the oiliness, and gives my skin a radiant glow! I absolutely love this product!